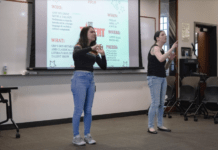 University of Rhode Island senior business major and vocal performance minor, Jack Thomas, is collaborating with a grammy award winning production company to film his first, big music video. For about a year now, Thomas said he has been working with a performance coach, who referred him to Surefire Creative Studios. Thomas sent Surefire Executive Producer, Jared Hancock, samples of his work, and last fall, Hancock reached out to Thomas. Before they began working together, Hancock mentored Thomas for six months to prepare him and get him to work “on the next level” as an artist. For 12 weeks, Thomas said he has been filming weekly cover videos, which have been averaging around 500 views a day, and he has just reached a total of 40,000 views. He said that he has been trying to do covers of songs that are “really hot” right now, including the Charlie Puth song, “One Call Away.” Originally, Thomas did not think he should cover the song because everyone was doing covers of it, but this video actually ended up having the most views. Thomas ended up showing “Like I Would” by Zayn Malik to his pianist, but said that he wanted to do something different with the song. Malik’s lyrics are about an ex-girlfriend, but there is a housebeat behind it, which Thomas didn’t think matched the lyrics at all. Rather than covering the song with Malik’s background beat, Thomas decided to make it into a ballad with a lot more emotion backing the lyrics. Thomas worked with his pianist to film the video, but it was bad quality. If Thomas met the budget requirements, Hancock would film a professional cover video for him. So, Thomas printed 2,000 fliers and has planned the filming to take place next Tuesday, where he hopes to get at least 250 extras to participate in the video. The video is set to take place at a local bar/club, and Thomas will act out the lyrics from the song. First, he said he will be acting out a man who recently broke up with his girlfriend and walks into a club. While inside, he sees his ex with another guy. When the guy leaves for a moment, Thomas will approach her and tell her how things have been without her. However, when the song’s pace picks up, their conversation will increase with tension, and things will start to get heated. Then, when the guy comes back into the scene, Thomas will go in for a punch, but he will be thrown out of the club by two bouncers. He said that he will eventually end up sneaking back into the club, but he wants it to be a surprise whether or not he gets the girl back at the end of the video. Although Thomas said he feels very overwhelmed working with such a big production company, one that has worked with famous artists such as Rick Ross, Brooke Hogan and Neyo, he is also aware that this is a huge opportunity and stepping stone to get his “foot in the door” in the music industry. 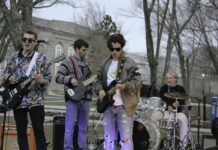 Since Thomas is in a wedding band, he plans on sticking around the Boston area after graduating and will look for a full-time job in the music industry. He plans to search for jobs in business management or singing, but both routes will compliment each other well. Thomas believes this video will help him gain more exposure and encourages people to participate because the filming shoot will essentially be a party, and extras will have a lot of opportunities to engage in the shoot. Hancock said that this video will be different from others because they worked to not only change the feel of the song, but gave it more of a cinematic quality. He said the song and video both tell a story that is more cinematic than what people are probably used to. It’s important for communities and groups of people to support artists who represent their community, Hancock explained. He said that it’s going to be a big opportunity for people to get involved and bring a lot of attention to the community as a whole. 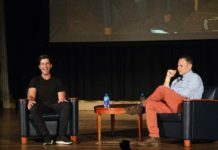 “Jack has a natural ability to excel,” Hancock said. “He is an incredibly talented musician and singer. 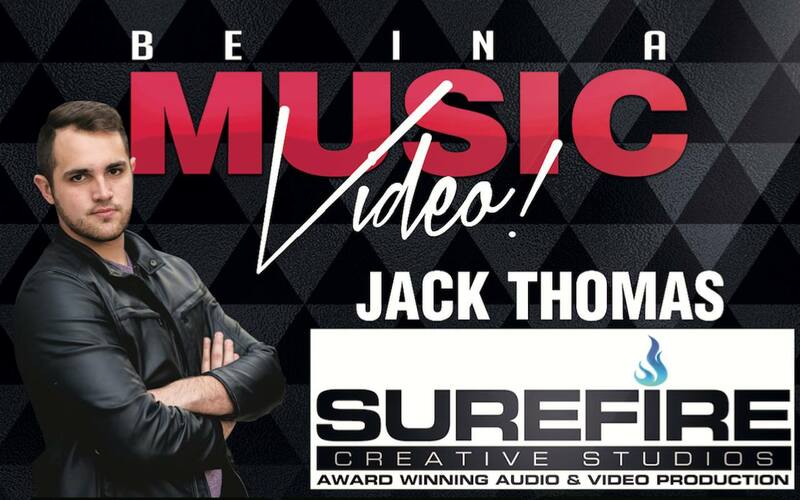 Not just the video but Jack himself will drive success.” He explained that the talent Thomas encompasses will drive the success of the video, coupled with the involvement and support of his community and Surefire’s network of professionals and social influences. Extras in Thomas’s video must be 18 years old and available next Tuesday, May 3, at night for a couple of hours. To sign up, send an email to jackthomassings@gmail.com with your name, email and phone number. For more information, visit www.surefirecreativestudios.com, or find Thomas on Facebook at Facebook.com/jackthomassings.